If you don’t believe that HMRC make mistakes, read this! We act as agents with our client’s dealings with HM Revenue and Customs (HMRC) and sometimes they get it wrong. A recent incident has highlighted how easy this can be. 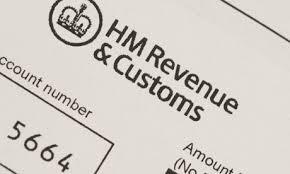 We had finished a VAT return for a client, ABC Contracting Limited (*), and went to submit it to HMRC. However, HMRC’s records showed that the business had actually deregistered from VAT, and that the return that was outstanding was the last one. We had no knowledge of this, and contacted our client, who also didn’t know anything about it. So we contacted HMRC. They said that the VAT registration had been cancelled and that our client was in liquidation. Again, a revelation! They gave us the date of liquidation and the liquidator’s name. After 5 minutes searching on Companies House, we found what the problem was. The company which was in liquidation was ABC Contractors Limited, not ABC Contracting Limited. It was a different company. So our client is not deregistering from VAT, nor in liquidation. Phew! This does, however, highlight how easy it is for HMRC to make a mistake. They had presumably received a paper form which they processed. The company had a similar name to our clients, but presumably a different company number and VAT registration number. They had got the name wrong. This had the effect of making the VAT records for 2 businesses wrong. It does also bring into question how much care HMRC take when processing documents. We have observed over the years that people are often inclined to believe HMRC. They are a large organisation with procedures and controls which presumably are there to reduce mistakes. We feel that HMRC pursue taxpayers who don’t engage accountants for this very reason, that they are more likely to believe HMRC and possibly pay tax which isn’t due. The conclusion is that nobody’s perfect. HMRC have proved that they can, and do, make mistakes. And if appropriate, you can make a complaint. (*) company names have been changed.